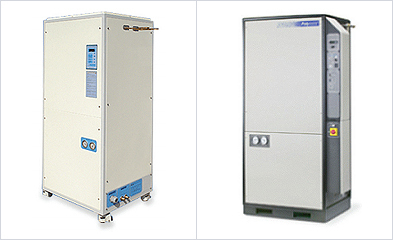 Fast and powerful adsorption of over a 95% of moisture within the chamber and protective effect of contamination. Significant reduction of vacuuming time and constant formation of vacuum. Powerful cooling system lowering the temperature down to -160℃(±5℃). Realization high productivity having brought superior quality that is suitable for customer needs. Design so as to accommodate lower noise and vibration of -70dB. Can be freely installed and convenient to handle. 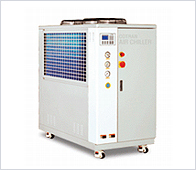 Display air type chiller operation condition. Malfunction auto detector & alarm device system. Adapted high-tech control method for maximum ability chilling proficiency and display malfunction energy reduction by way of using ultra precision temperature control. 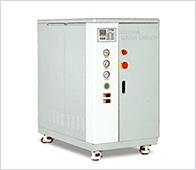 Display the Operation of chiller. Alarm advice and subsidized light. Time schedule function (per hour, daily, weekly). Convenient to operating (can be operated for daily, continuously, pro-order, weekly and holiday).